Great Bones - Lots of Opportunity! Wow! 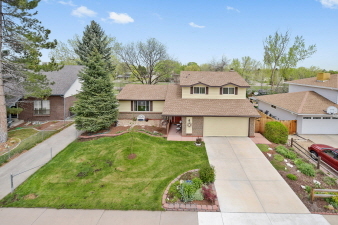 Delightful home on amazing lot backing to open space. Mr & Mrs Clean live here. Very peaceful home, you'll feel welcomed from the moment you walk in the door. Open and bright. This home just needs a few touches to make it your home. Gorgeous true hardwoods throughout main level. Amazing yard with over sized deck. Incredible trail system that ties into huge Woodmar Square Park just a block away. Home has been exceptionally well maintained: New 60yr warranty Solid Core Siding, 1yr old dishwasher, 1yr old electric subpanel makes finishing basement a breeze, new kitchen backsplash, new front door, master bath redone, radon system installed. Hurry this super inviting home is ready to go! Buyer to verify all info.